A facial mask is an amazing way to create the space need for the body to relax, and an Avocado mask is an excellent way to nourish our depleted skin. 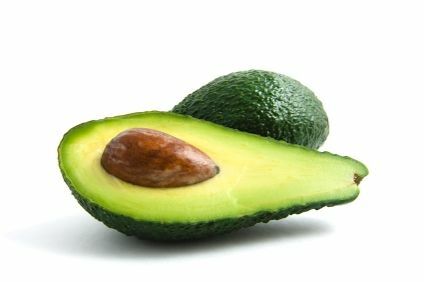 Avocados are high in sterolins, which help to reduce age spots, and help heal sun damage and scars. These sterolins (also called plant steroids) are what help to soften the skin and moisturize it. Using avocados in facemasks can also have a deep cleansing effect, working to remove impurities, wastes and dead skin cells. Facemasks tighten pores, remove excess oil from the skin, and moisturize and replenish dry skin. Avocados can be hard to find at certain times of the year, especially for those individuals living in colder climates. If you are having trouble finding avocados you can still make home made avocado facemasks–you will just need to substitute a couple of drops of avocado oil for the avocado. Mash and mix in a bowl. Apply to your face after cleansing your skin. You may keep the mask on as long as you like. A general time limit is 10 – 20 minutes. Relax, unwind, pour yourself a glass of wine, or drink a cup of hot coco. Please remember that if you feel discomfort or burning sensations with any mask you use, remove it immediately. Below are some other great recipes you can experiment with. Step 1: Mash avocado in a bowl and then add the oil. Stir to combine. Step 2: Apply to face, avoiding the eye area, and let sit for 15 minutes. Step 3: Rinse with warm water followed by cool water. Step 1: Mash the avocado, add the honey and egg. Mix until thoroughly blended. Step 2: Apply to face avoiding the eye area and let sit for 10 minutes. Step 1: Place all ingredients into a blender and blend until thoroughly combined. Step 2: Apply to face, avoiding the eye area and concentrating on the oiliest part of the face (T-zone). Let dry for 20 minutes. Step 3: Apply to skin, avoiding the eye area and let sit for 10 minutes. Step 4: Rinse with warm water followed by cool water. Step 1: Mix all these ingredients in a bowl to make a smooth paste. Step 2: Apply the paste gently to your face and neck, avoiding the eye area. Let sit for 15-20 minutes. Step 1: Peel the avocado, cut it in half and set the skin aside. Step 2: Mash up half the avocado with honey and apple cider vinegar. Step 3: Apply to skin and allow to sit for 15 minutes. The Avocado facial mask is one of the services performed in our beautiful spa at Blue Osa, Costa Rica’s Yoga Retreat on the Osa Peninsula. Experience The Blue Osa Eco Spa!